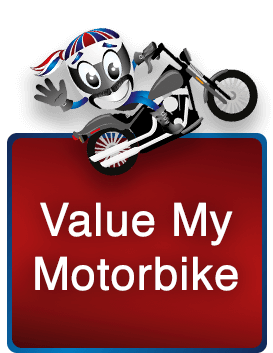 Listed below are links motorbike trader We Buy Any Bike view as useful resources. If you think we’ve missed anyone let us know! If you’re looking for new biking gear, this is the place to head. 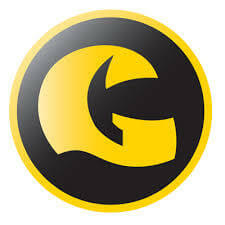 GetGeared is a superstore which specialises in motorcycle clothing, parts and accessories. Their website often includes special offers on certain items, as well a News section stuffed full of helpful biker information. 3D provide motorcycle training in York, Harrogate, Leeds, Knaresborough and all surrounding areas. They teach you how to ride your motorbike to the best of your ability, not just to pass your test. They provide a full range of courses to suit all levels of skill and experience. 3D Training also has a sister company – 3D Motorcycle Tours, who are designed to enable you to do as much (riding, site seeing, socialising) as possible, with as little planning as necessary. Check their sites out! Horizons Unlimited is a fantastic site which provides you with everything you need to know regarding travelling on your motorcycle, from all perspectives. Their page includes a Bike travel Bulletin Board, free monthly Motorcycle Travel E-zine, Travelling Stories and plenty more tips! RiteBike has one of the largest selection of used motorcycles under one roof in the UK, they have bikes to suit everyone. Ranging from 125cc bikes to over 1000cc. They stock 350 bikes at any one time including sports bikes, cruisers, adventures, scooters and so on! 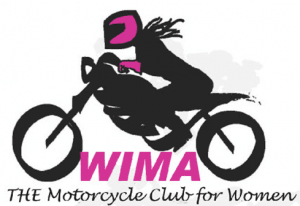 This is a great association supporting women motorcyclists everywhere. They hold regional meets, rallies, ride outs and much more. They often update their website with new articles, posts and photos! We Buy Any Bike love what WIMA is all about, so sponsor them as and when asked. If you like reading about bike adventures this site will be of interest, it includes a blog, forum, reviews, tours info and more. Adventure Bike Rider isn’t just online as it offers a magazine subscription also, it covers pretty much everything bikers would be excited about. Needing tyres in the Leeds area? Get in touch with these guys, they stock a load of tyre manufacturers. If you have a look on their website you can search by category or manufactures, they even have an accessories section. Run for bikers, by bikers! 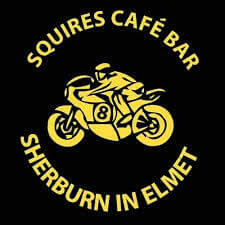 Every biker in Yorkshire knows Squires well. It has a cafe, bar and motorcycle shop all on one site. There are regular events held at Squires because it’s the perfect venue, its massive, it even has its own campsite! If you need any parts for your motorbike, check out Fowlers. They stock thirteen different manufacturer’s parts all on one site! Do you want to check the MOT history of a bike? If you have your eye on a new motorcycle, it’s a good idea to check the history. All you need is the registration and make! If you want to check the vehicle is taxed, you can do it on the same site. So what happens if you break down on your bike?! 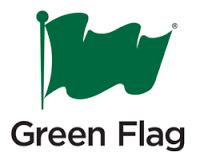 Its best to be prepared for the worst-case scenario, GreenFlag is a well known and respected company who will save you from roadside hell. Check out their site for a personal quote. NMM isn’t just any old motorbike museum, it holds the world’s largest collection of British bikes. It holds over 850 spanning over a century of motorcycle manufacturer! 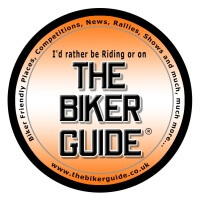 This is an easy to use site, full of free biker information. On here you’ll find biker friendly accommodation, cafes, pubs and routes. You can search by ‘Essentials’ which are then split up into locations! It’s not just UK centred either, there are details from all over Europe. If you are looking for motorcycle finance, the first company we would advise is MotoNovo. They offer an extremely professional service and good rates. Their website holds a load of information as well as a Live Chat if you have a few questions you’d like answering straight away. Fancying some touring but don’t know where to head? White Rose Tours cover all options taking you around the UK, Europe and now even the USA. If you visit their website you can check out tour details, see photos of past trips and read their regular blog entries. 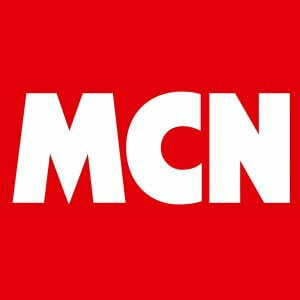 If you are thinking about buying a new motorcycle and just doing some research, MCN is the site visit for a review. They review thousands of bikes in an organised, professional manner. Bike reviews are just the tip of the iceberg for MCN, the site covers: Bikes for sale, Insurance compares, Parts and of course the prices of printed editions. Biker friendly Bed and Breakfast, Self-catering & Camping site accommodation, in England, Scotland, Wales, Ireland, France, Spain, Germany, Italy, Portugal, Netherlands the rest of Europe, USA, Canada, Australia and New Zealand. Information on just about everything for the motorcyclist, it’s a one-stop motorcycle site. They include moto touring companies in the UK, Europe, America, Australia and New Zealand, information on where to find the best forums and clubs. 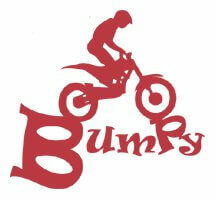 Based in West Yorkshire, Bumpy Ltd offers a full range of motorcycle rider training courses as well as off road tuition on trials bikes for young people from the ages of 6 to aged 60 and beyond! Are you looking for your motorbikes user manual? This is a great website on which you can search by make and model to find it! All product manuals are on this single site and are completely free. motonest.com was born on the road. Riding and trying to find a safe place to leave their motorcycles, enjoy a good meal or leave them overnight. Their goal is to create an easy, fast and direct contact between the business owners and the travellers. This is why they came up with the Motonest Mobile Application! 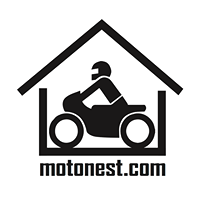 Motonest.com and Motonest mobile App are free IT solutions, ready at hand, for motorcyclists from all over the world. Expect a warm welcome, good hospitality and local knowledge from owners Rob and Mandy at this Biker only B&B in the beautiful Massif Central. Catering for groups, couples and solo riders, with accommodation in doubles, twins and a Club Room for up to nine. Full English breakfast, evening meals, cold beers, good wine, swimmina g pool and a dedicated chill-out barn. Close to some of the best traffic-free twisties in southern France, with route planning and guided tours available. Workshop facilities, recovery trailer and secure garage parking. The Sheffield and District Advanced Motorcyclists (SAM) are an independent charity that provides public education and training in advanced motorcycling skills. Its aims are to increase public awareness and understanding of motorcycling and the advanced knowledge and skill required to ride safely on public roads. Highly trained volunteer bikers prepare motorcyclists for the IAM RoadSmart advanced motorcycle tests. SAM bikers help local bikers to ride better, ride safer, ride longer and have a lot more fun. McTours deliver uniquely memorable motorcycle tours in selective parts of Europe. when you ride a motorbike you engage with the landscape and absorb the culture and vibe of the region. McTours stay at luxury hotels and chose great roads to take you there. Visit McTours – European Motorcycle Tours – if this makes you think about touring Europe by motorcycle because McTours provide a variety of interesting and well-organized motorcycle holidays especially in Scotland, France, Italy, Spain and other parts of Europe. This is the place to find affordable motorcycle clothing, accessories, and helmets for bikers who just want to get out there and ride. Their range includes well-known brands alongside up and coming brands to make up a huge selection of gear that will keep you safe out on the street without breaking the bank. They’ve also got a few gems in their accessories arsenal that you won’t see from any other UK retailer! Check out this guest post on bike trader, WeBuyAnyBike from LD Motorcycles! Young Choppers is a website dedicated to Motorcycle, Snowmobile, and overall motor enthusiasts. 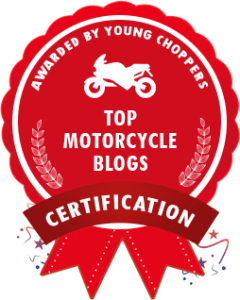 Here is a great post that features some of the best motorcycle blogs across the internet. The website itself also features some pretty interesting posts too! If you’ve ever fancied seeing the beauty of Scotland in its true entirety, there’s really no better tour company than Haggis Tours. Their NC500 (Scotland’s Route 66) and Skye tour takes you on the breathtaking roads of Scotland, featuring famous places such as John O’ Groats, and Dunrobin Castle. Another tour of Scotland offered by Haggis Tours is their ‘best biking roads’ tour, a 7-day adventure filled with nothing but excitement for any motorcyclist. If you fancy taking a ride further afield, they also offer tours extending to a full range of European countries. Formed in 2006 Global Motorcycle Tours is an independent UK based Motorcycle Touring Company specialising in high quality guided and self-guided motorcycle touring holidays throughout Europe. Our ongoing objective is to continually improve the quality of our motorcycle tours with the best routes, top class hotels and exceptional customer service.